Home / Unlabelled / WHO IS THIS PETER O'NEILL? WHO IS THIS PETER O'NEILL? These are the real facts PNG ought to know. O'Neill was neither a tribal leader nor will he ever be one. He has no identity in terms of tribal heritage or being from an established stock clan in an indigenous community to become a leader. He has no traditional or customary identity. Therefore, he is not entitled to any inheritance, such as land for hunting or gardening. Moreover, he was born out of wedlock, meaning his mother bore him as a result of fornication with a colonial Australian Kiap/Magistrate called Brian O'Neill, who was a well-known womanizer in those early days in the Ialibu Pangia area. O'Neill was born as a result of such promiscuous relationship from a village girl called Awambo, who was a well-known whore in the early sixties in the Pangia area. Her Kauwo village was near the Pangia Government Station, so she could easily slip into the expatriate’s house under the cover of darkness to ply her trade in exchange for a tinned fish, packet of rice, and occasionally two Australian Dollars. In the highlands culture and tradition, O'Neill is an illegitimate child with no heritage or inheritance. He was never supposed to be an MP in the first place. This is O'Neill’s weakness, even to this very day. HE HAS NO STANDING IN IALIBU PANGIA. This is an open secret which PNG does not know about. This is the very thing Namah, Polye, Duma, and Somare would have exploited to rid O'Neill. Yet they chose not to support some credible people who had the support of the people, thereby allowing O'Neill to simply walk through, because the four candidates who challenged him are a bunch of unknown clowns, which insulted the intelligence and integrity of the Ialibu Pangia people, so much so that people simply refused do anything, because some credible candidates who the people supported to nominate did not do so, and the obvious was evident. 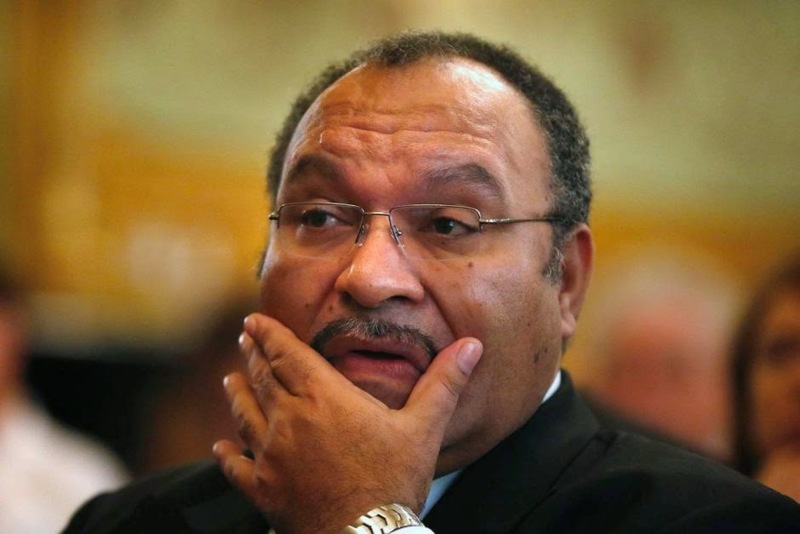 In fact, there was no polling in twenty-eight polling booths in the Pangia area, and the counting in Mendi was just bulldozed by making him the first-declared MP in PNG. Being declared four weeks early gave him an unprecedented advantage over his rivals to form the government, because that early declaration game him the advantage to manipulate the system to collect the numbers around the country to form Government. Messers Namah, Polye, Duma and other aspiring political leaders have to rethink the way they play politics with the crafty O'Neill and his lieutenants like Marape and Pruaitch. No matter what they say or do, O'Neill is not “too concerned" of their threats. I advise Mr. Belden Namah that the ONLY option for him to dethrone O'Neill is to relinquish the position of Opposition Leader to the other major coalition partners. PNG Party’s numbers have diminished drastically. So there is no hope for the Opposition as far as the number’s game is concerned. What does this scenario tell the PNG public? Mr. Namah has to relinquish the opposition leader to some credible coalition leaders in the government ranks. I would prefer Polye if I was given the choice. If Polye does not want to join the Opposition, there are other potential ones out there. I believe in Hon. Belden Namah and encourage him to refocus and strategize his plans either before the next vote-of-no-confidence, or he must ensure that O'Neill is arrested for authorizing payment of K71.8 million to Paraka Lawyers (the latter is being swept under the carpet by the Police Commissioner). However, if O'Neill remains PM for the next three years then it’s very unfortunate that PNG will be thrown into financial doldrums, which we will be struggling to recover in the future. O'Neill is an economic terrorist and white collar criminal. Just look at the way he's running the country in the last two years. He is signing loans that have speculative market dividends. He has stolen from tax payers indirectly through dubious associates. Hundreds of millions of Kina worth of projects are given to just the three same companies with no tenders called for. So far he has given over K3 billion worth of projects to these three companies. Most of the costs are inflated by over forty percent (40%) of the actual cost. Guess who gets the commission? Of course O'Neill himself. Insiders say that he demands thirty percent (30%) from the project costs. He controls everything whereby some of his ministers are powerless when it comes to signing off approval for large contracts. It’s too damn obvious, yet not a single Government Minister or MP has the guts to stand up and raise these issues. O'Neill is making fast money while at the helm. He needs to be stopped, because he is moving like a bullet train with no brakes, for he doesn't care what happens for PNG’s future. Our people in PNG have to understand the character of O'Neill to fully comprehend what damage and day-light robbery he has inflicted everyday as long as he remains PM. All the so-called good things and his image portrayed to the public as a good and honest leader is just a plain smoke screen. He can easily take a lead role in a Hollywood Movie as an imitator, because he is a master of disguise. The Bible describes such a character as a “WOLF IN SHEEP’s CLOTHING.” His three lieutenants, James Marape, Patrick Pruaitch, and Francis Awesa are aiding and abetting pillage of the nation’s finances, because these three idiots are having their cut in all the deals. One way or another Governor Powes Parkop is aware of these corrupt practices, but his hands are bound and he is silent, because his main concern is that some of these major infrastructure projects are currently implemented in his electorate, NCD. Can a leopard change its spot? The adage is so true of O'Neill: Once a criminal always a criminal. He is carrying this “unforgiving title” and he is no doubt the biggest crook in PNG. What the Somare family and Associates amassed over forty years in politics is nothing compared to what O'Neill has stolen and accumulated in just three years of being PM, beginning with the political impasse in August, 2011. Can you imagine O'Neill being PM full five years? It is mind-boggling and scary. PNG is on the verge of a stupendous economic disaster. Why? The funds from the LNG Gas Exports are set to flow into the Government revenue in the second half of 2014. And the misappropriations of these funds are susceptible. We are talking about BILLIONS of Kina, not Millions. Doesn’t this send a cold chill down your spine? Here we are talking about a man who has cleverly set himself up to rip off this country’s wealth when he is the PM. He does not care one bit about what happens after he leaves office, because he has big setup already in Australia and elsewhere.